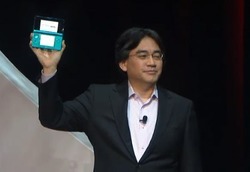 Nintendo’s glasses-free 3D technology is nothing short of revolutionary. No one was expecting it when it was announced at E3 last year; it surprised everyone. Even if you think 3D is gimmicky, the tech is still quite impressive. Unfortunately, Nintendo is now being sued over the 3DS’s magic screen. Tomita Technologies, founded by former Sony engineer, have filed suit against Nintendo for infringing a patent that was filed in 2003 and issued in August 2008. The patent in question is titled “Stereoscopic Image Picking Up and Display System Based Upon Optical Axes Cross-Point Information,” for “technology relating to displaying stereoscopic images on-screen for viewing with the naked eye, i.e., without utilizing glasses or other devices.” The suit doesn’t go into detail on exactly how Nintendo is infringing upon the patent. Nintendo isn’t new to the world of lawsuits; they can handle themselves. I doubt Nintendo willingly stole Tomita’s idea, especially since the complaint is very vague on how they apparently did so. 3D is the next big gimmick right now, and everyone who has experienced 3D has at one point or another complained about wearing the glasses. It’s natural that more than one company was working on solving the problem. I suspect that this whole issue will work itself out in no time.